A dangerous conspiracy begins to unfold; its first step:kill a simple village boy named Luwan of Brida. Hunted by a powerful enemy. Luwan sets out on a dangerous journey, clueless why a legendary force, aided by the darkest known demons wants him dead. I would like to thank Gloryburg publsihing LLP and his team for the review copy. My review here is totally honest and unbiased. Luwan,who is a naive boy lives in Brida with her sister. Luwan who has a book which he believes that it would guide him when the time comes as said by his mother. On one such day the book guided Luwan to run away from Brida. But why? Is his life in danger? Should he take her sister with him? where is he headed? He meets different people in his journey,whom should he trust? Finally I read a fantasy book which deserves complete credit for its plot,narration and language.A brilliantly sculptured story for us to get mesmerized. This book is a full fledged fantasy. The story didn’t take any diversion from its course. I was totally glued with the story even though the book is like 400 pages. Well, what fantasy would it be if there is no magical creatures or people? Author didn’t disappoint us in this. There are lot aspects in this story to feed our imaginations. I was reluctant at the start as there was no much description of the places or the creatures, but then I felt the description was not essential when the chase began as the characters were incredible with their actions and failures. Snow and blaze are the perfect example for what I mentioned above. KILIARN, I am in love with this guy. Author amazingly disguised Kiliarn to be his story. He was all over the frames of the plot. At times I forgot Luwan and felt Kiliarn should be the protagonist. I cannot give away the entire description about Kiliarn but I can assure that you all will like and enjoy Kiliarn a lot when compared to others. Luwan tries to learn his skills in this adventure journey which helps him to be a strong person. Meg character was much needed as she seems to be the voice of me. She voiced my fear, my admiration,my thoughts, my amazement,my pain. Meg was there in the story for us. The best part in this book is that you do not know who Luwan is or what he is destined for. Who summoned Ghork riders? Who is that enemy? There are lot questions to be answered. Actually in this book no questions were answered even at the end. No secrets were spilled out or revealed. So greater things and surprises could be expected in the next book. This line is for the readers who loves to have A book with a map. 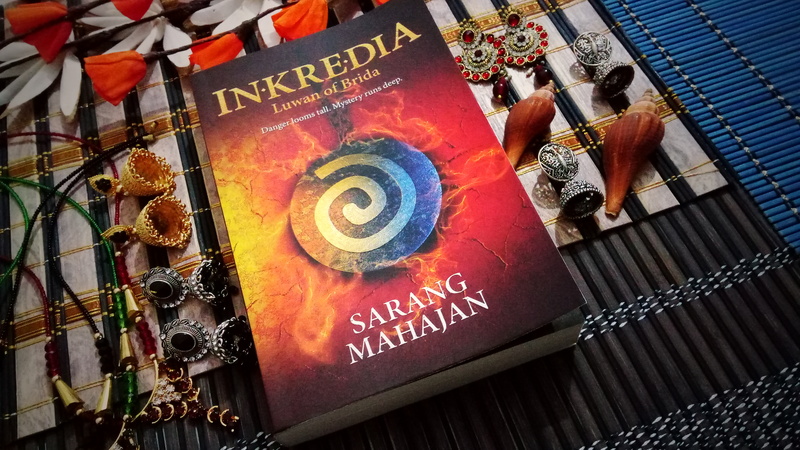 Overall ” In.Kre.Dia ” is a splendid and gorgeous fantasy in recent times with right amount of thriller to keep you focused through out the one part journey of Luwan of Brida. And now the wait starts.